"Malkara School is a dynamic and engaging specialist education learning environment thanks to the commitment and hard work of the Malkara School community." Malkara is a well established school that has provided over 40 years of quality education for students with a significant intellectual disability and other associated impairments. 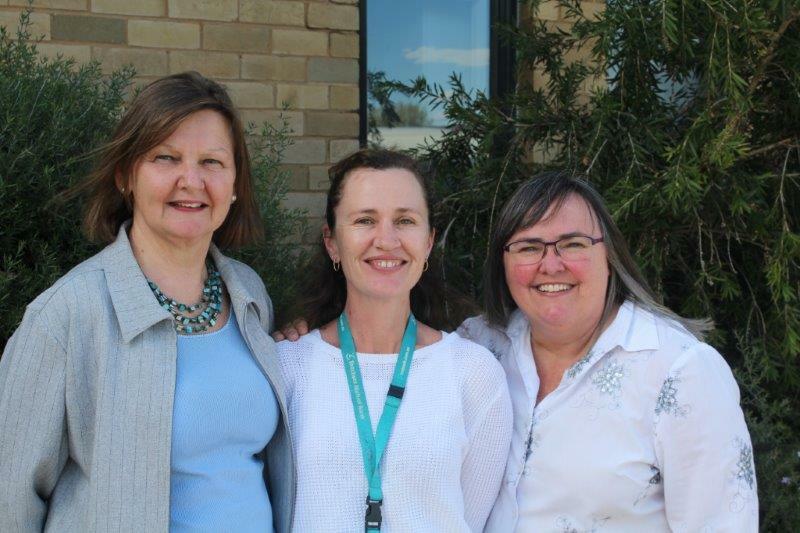 Our, dedicated staff, parents and carers, supported by the wider Canberra community work together to ensure all Malkara students are educated in a positive, student centred environment that ensures maximum growth and development. Our enrolment stands at 77 children between the ages of 4 and 12 from across the southern regions of Canberra and nearby NSW. Come and enjoy the 46th annual Malkara Model Railway Exhibition on August 4 & 5. So much to see and do! Enjoy the model train exhibits, great entertainment and yummy food stalls… all while raising money for a terrific cause. A project that we are very excited about is our entry into a short film competition called Focus on Ability. The competition is held every year and celebrates the abilities of students with disabilities. One of our classroom teachers, Kerry Burgess, has created a short film called We Can that incorporates images of some of our students and submitted it for the competition. All entries are judged by a panel; they are also included in an online voting forum where visitors to the website can vote for their favourite short film. Last term we were very busy at school installing our Bush Tucker Gardens and murals- the project funded by a grant from the Reconciliation Council for Reconciliation week. The work was overseen by Emm Greene, with support from both students and staff. Everyone enjoyed the contributing. We added our hand prints to the wall around our new possum - it was a lovely sensory experience for all of us! On Wednesday 6th June, students had the opportunity to explore the plants in the garden under the expertise of Adam Shipp, Wiradjuri man. Adam encouraged the students to look at, touch and smell the various plants in the garden and we are now looking forward to later in the year when we will be able to taste some of the fruits as they develop. The opening of our Reconciliation Bush Tucker gardens and outdoor learning spaces was held on Thursday 7th June, with a Welcome to Country led by a Dr Matilda House, Ngambri Elder. ACT Public Education Awards: Celebrating Excellence recognise and acknowledge the outstanding contribution of public school leaders, teachers, school support staff and volunteers. Malkara is pleased to announce that Charmayne Tinkler has been nominated for Primary Teacher of the Year and Michelle Fitzgibbon and Nicole Houghton have been nominated for Education Support Person of the Year. Best of luck goes to these amazing staff members. The awards will be announced on Thursday 9 November. Malkara held a whole school Science Day on 16 August, as part of National Science Week to further continue their learning during their term long science focus. The students rotated around four learning stations throughout the day. They participated to make lava lamps, weave using a variety of materials, construct objects using a variety of recycled materials and boxes and went on a treasure hunt to identify different materials around the school. They were assisted by students from our neighbouring school Saint Peter and Paul. A lot of fun was had throughout the day.